Bringing together a panel of young thinkers, writers and activists, the forum will explore how identity, diversity and feminism can be addressed within the institution. It is also an opportunity for Her Place (and the Immigration Museum) to consult with youth audiences about who inspires them and how Her Place's programs, activities and exhibitions can best represent and include young, diverse and intersectional feminist perspectives. 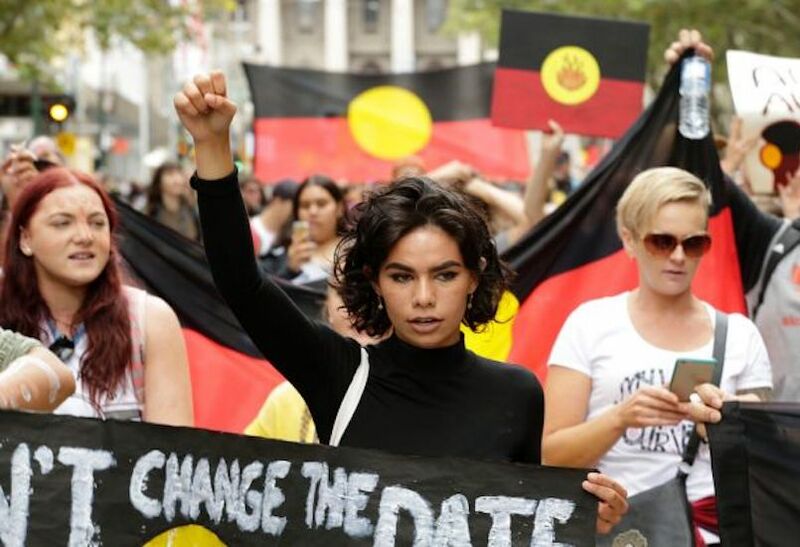 Aretha Stewart-Brown (pictured) is an Indigenous Australian youth activist and the first female Prime Minister of the National Indigenous Youth Parliament. In 2014 Brown was selected to attend the 100th anniversary of the Gallipoli landings in Turkey, in 2017 addressed an estimated 50,000 protesters in Melbourne on Australia Day at an Invasion Day rally and in 2018 spoke at the 2018 Invasion Day march. Amelia Peterson is a young cis woman from Naarm. She is passionate about raising the intersectional issues facing women, people of colour, neuro-diverse people, LGBTQIA folks and dif-abled people through her passion for social work and activism.